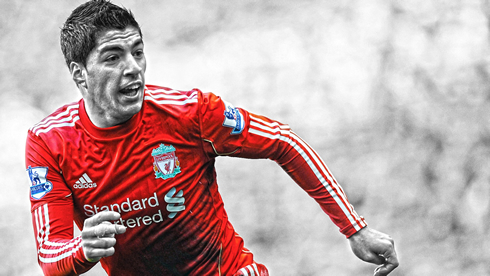 ﻿ Luis Suárez: "I would love to play with Cristiano Ronaldo"
12.06.2013 » Luis Suárez: "I would love to play with Cristiano Ronaldo"
As the likelihood of Real Madrid purchasing a new striker during this summer transfer season grows each day, so does the alleged interest of many clubs in signing Luis Suárez. The still Liverpool striker has recently confessed that a move to the Merengues would fit into a pleasant scenario for him, and that he would love to partnership with Cristiano Ronaldo in any club's attack. 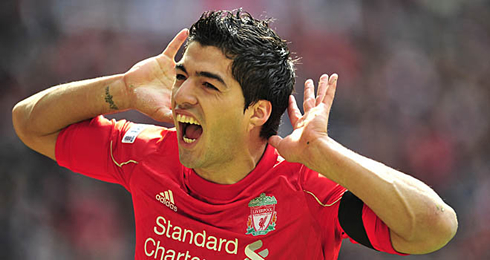 Liverpool striker Luis Suárez has been hinted with a move to Real Madrid for more than one occasion in the recent past and judging by the 26-years old words granted a few days to the media, he wouldn't hesitate much to put his ink on the transfer papers. 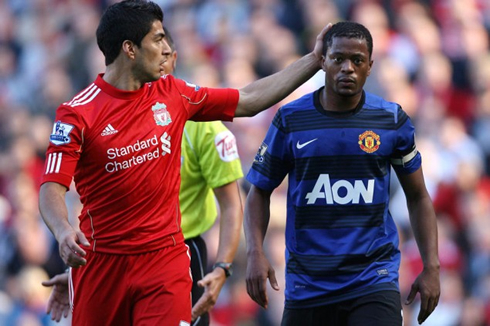 The Uruguayan has been involved in several controversial incidents since he arrived to England back in 2010, beginning on the claims of racist insults against Manchester United's Patrice Evra in October 2011 and ending with Suárez biting Chelsea's Serbian defender Branislav Ivanović on April 2013, an action that costed him a 10-game ban. Nevertheless, the former Ajax player is still rated as one of the best forwards in the game and if Real Madrid ends up selling Gonzalo Higuaín, he'll surely be one of Florentino Pérez main targets, in order to add some extra firepower to help Cristiano Ronaldo next season. 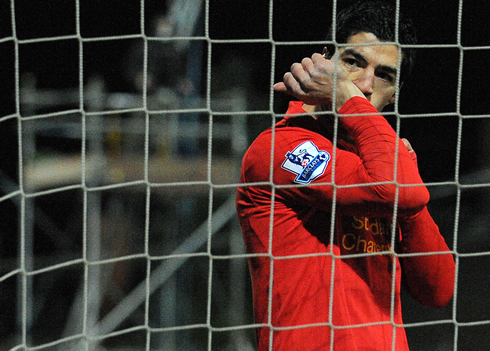 Luis Suárez is one of those players who can turn from hero to villain in a blink of an eye. He finished his 3rd season as a Liverpool footballer with his best personal record in England so far, after scoring a total of 30 goals out of 43 games. 23 of those were obtained in the English Premier League, which allowed him to become the competition's 2nd best topscorer, only 3 goals behind Man Utd's Robin van Persie. 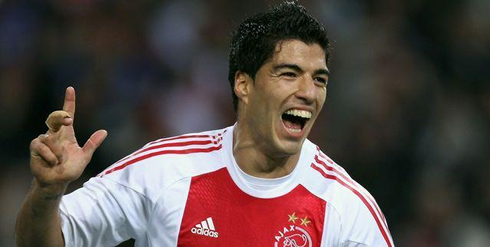 As for his stats with Uruguay, the 26-years old holds an enviable record of 32 goals in 64 matches. It's definitely a quite impressive visiting card and if it wasn't for his unpredictable and strange behavior inside the football pitch, no one would certainly argue about the legitimate interest of Real Madrid C.F. in signing this Uruguayan star. 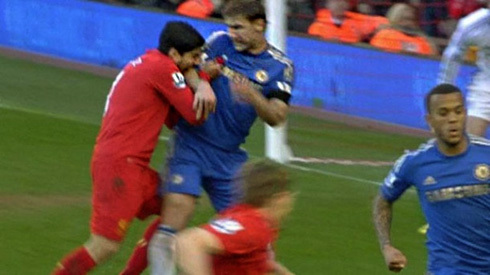 Probably disappointed not only with the way the media has been treating him but also with the lack of support he feels that he has received from his club following his latest incident in last April's Liverpool vs Chelsea 2-2 draw at Anfield Road where he ended up biting Ivanović, Suárez seems to be looking for a move to a different country and Spain naturally appears on the top of the list. 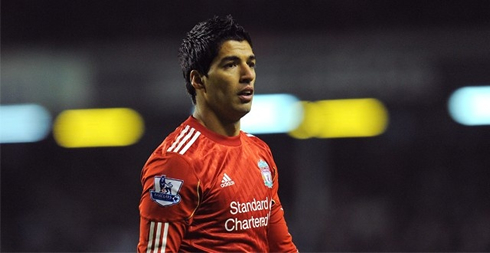 Luis Suárez: "I don't feel comfortable here anymore. It's a good moment for a change because of all I've been through in England over the past months, where I haven't been judged as a football player, but rather on other things. One has its own limits and my family is also suffering. 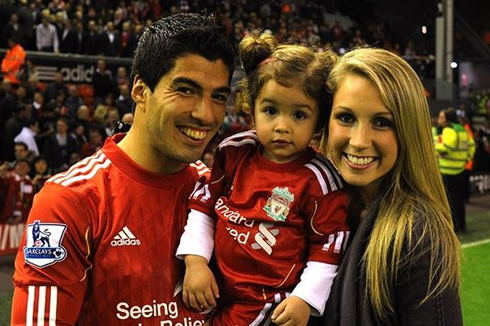 The media have treated me bad and I can't accept that if one day I go to my own club and I cannot walk there with my kid by my side", said the Uruguayan in an interview granted by the end of May. More recently, the Liverpool striker decided to make an open statement about his willingness to join Spanish football and Real Madrid. Suárez: "All football players aspire to play at the very top level and there's no bigger ambition than playing for Real Madrid. However, all that has come out to the press are nothing but rumors and there's nothing concrete so far. I can't say how I would feel wearing a white jersey, since the only thing I know for now is that I have a contract with Liverpool", commented the 26-years old. When he was urged to share his view on what partnership could score more goals between Messi and Neymar in Barcelona or a potential Suárez and Ronaldo attacking duo in Real Madrid, the Uruguayan smiled but preferred to play defensively. 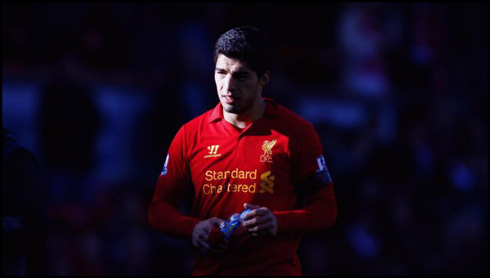 Suárez: "I would be delighted to play side by side with Cristiano Ronaldo. He's one of the greats in the game! You never know, but it's complicated. Right now he's in Real Madrid and I'm still in Liverpool and I don't know what's going to happen in the upcoming weeks and months", replied the former Ajax forward, probably aware that even if he makes the switch to the Spanish capital, the likelihood of Cristiano Ronaldo staying there is not as high as it was some months ago. 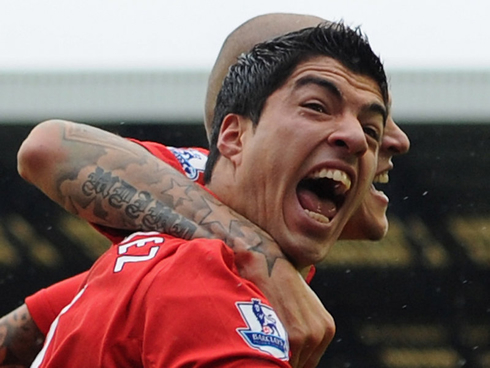 Luis Suárez: "I don't know which attacking partnership would score more goals. Barcelona has won so many trophies lately with Messi in great form, but Neymar will surely need to adapt to European football, especially because all eyes will be chasing him on the pitch. As for me partnering with Cristiano Ronaldo, I honestly don't know if that is ever going to happen...", remarked the controversial striker when closing his interview to a TV station from Uruguay. Cristiano Ronaldo is now enjoying some vacations, so he won't be back to Real Madrid until the pre-season kicks off in the beginning of July. In the meanwhile, you can watch Galatasaray vs Real Madrid, Spain vs Ireland, Ecuador vs Argentina and USA vs Panama, all matches provided from our live soccer section.